The kitchen is at the center of the home. There is so much that can be done depending on how you and your design consultant approach it. One way to approach IT, is to select two-toned cabinets which are growing in popularity in 2018. Two-toned cabinets are one of those trends that can be done classic, modern, unique, or any other type of style! Choosing two cabinet colors gives the homeowner another way of obtaining a specific look while adding some contrast to the kitchen. Follow these tips, and you will be on your way to a stunning two-toned kitchen in no time! Lighter color stays on top: Keeping the lighter color on your upper cabinets give the appearance of higher ceilings which is excellent in any home! The darker lower cabinets can keep the kitchen grounded. The darker contrast of the lowers cabinets is also where you decide how trendy you want the two-toned cabinets to be whether it be dark greys, blues, or a pop of bright color! Pick a focal point: Most of the time the focal point is going to be your contrasting paint color. An island is a great place for a focal point and you can go as bold or subtle as you feel comfortable with in regards to color. You can even keep all of your cabinets the same color and just have the island a different color. It’s all about what look you are trying to attain. Keep counters in mind: When you choose two-toned cabinets it important to have your design consultant aid you in choosing the correct counters. You want the two colors to contrast and flow at the same time and countertops make the difference. If the contrast is executed correctly by following these tips, it will result in a cohesive and inviting kitchen that you will enjoy again and again. 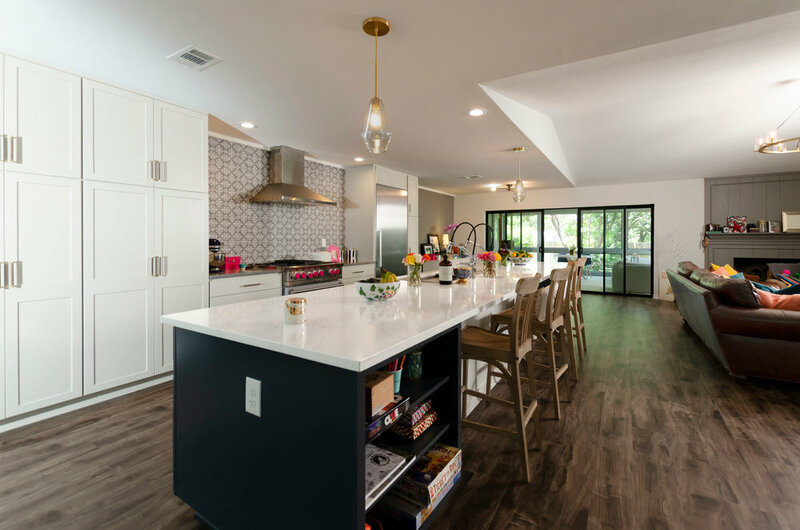 We love transforming kitchens for our clients so give us a call anytime at 210-680-5626 to schedule a one-on-one home visit from Keith to see what potential is in your current kitchen.